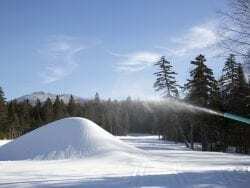 “The Park Agency has not recently demonstrated, or been allowed to exercise, its past degree of independence,” the Adirondack Council also stated in its report. It gave Cuomo a thumbs-down in that “State of the Park 2017-18” APA review. How much influence does Cuomo exert? The governor went into the holidays set to appoint a full-fledged chair of the agency, widely expected to be acting chair Karen Feldman. He is also able to fill three seats of expired terms and two other vacancies. As he starts his third four-year term as New York’s executive, Cuomo can put his stamp on the agency for years to come. He already controls three designees on the 11-member board from the departments of State, Environmental Conservation and Economic Development. Even before any new appointments, which would have to be approved by the Senate, the governor’s control of the 54-employee agency in Ray Brook has been extraordinary, according to some observers. This group includes people with several years of experience working under various governors. Few want to talk on the record. Both Gibson and Peter Bauer, executive director of Protect, say Cuomo has been driving the APA’s actions. “For the last eight years all major decisions have been made by the Second Floor,” Bauer said. Many, they say, do not complain because Cuomo holds detractors to account. Cuomo’s aides conducted private meetings with local government and environmental groups on the Essex Chain classification plan. 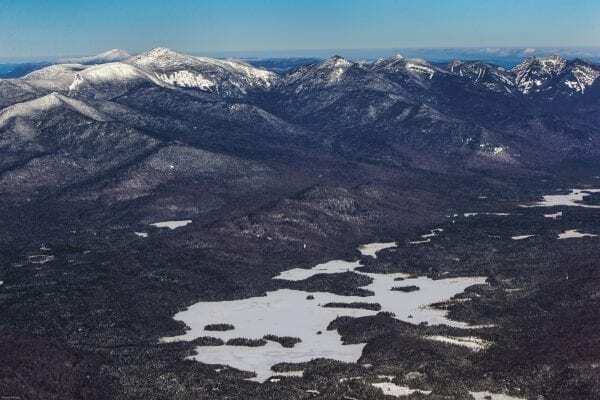 Adirondack Council spokesman John Sheehan recently said: “It is the APA staff that is supposed to be doing the work.” A similar strategy was used to reach a deal with the Boreas Ponds Tract. Critics see it as corrupting the process. The opinion is shared by other leaders in the Adirondacks, yet no one provides hard evidence of heavy-handedness by Cuomo. The anecdotal examples, such as Cuomo’s involvement in the Essex Chain classification in 2013 and his ringing endorsement of a compromise classification of the Boreas Ponds tract more recently, illustrated significant engagement from the Second Floor of the Capitol, several observers said. To several people who follow Cuomo’s handling of state matters, the classifications of the acquired wildlands were telling. Cuomo had once again micromanaged, usurped authority, horse-traded in a back room, weakened a government regulator. These people, some of whom have long careers in public service, say Cuomo’s interest in the park and in the economy within the blue line favors local government leaders who argue for more access to areas that could be classified as wilderness. Often using the Department of Environmental Conservation commissioner to assert direction to the APA, Cuomo tends to get his way, these people say. The APA, with a different mission than DEC, is treated like an extension of the bigger agency under Cuomo, even having to run staff hiring decisions by DEC, according to insiders. Others say the degree of gubernatorial control is exaggerated. “It’s somewhere between reality and folklore,” said Sherman Craig, the recently retired chairman of the APA. He said Cuomo never called him and told him what he wanted or what to do, although the governor’s public comments on finding ways to balance preservation and economic uses of the acquired Finch, Pruyn lands was well known. 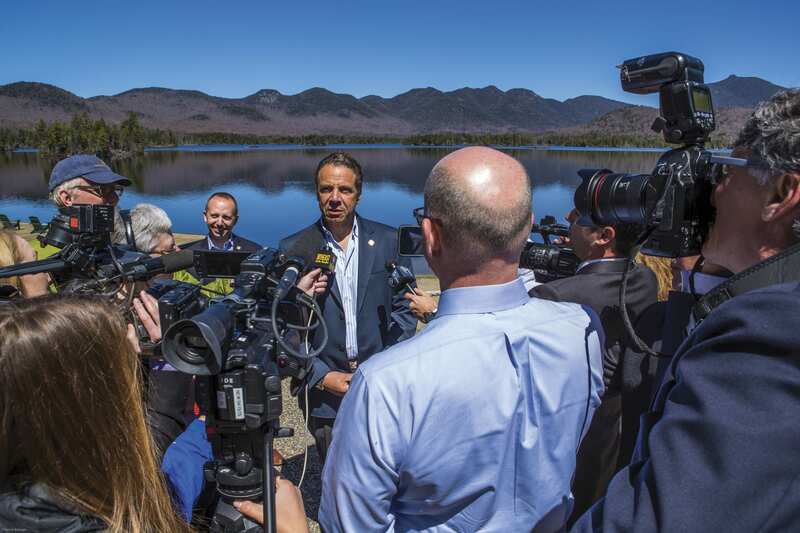 The Finch paper company land, which included the Essex Chain and Boreas Pond tracts, was part of the Cuomo administration’s nearly $50 million purchase of property from the Nature Conservancy to add to the Adirondack preserve. One environmental official who worked closely with state government claimed that Cuomo and his deputies have been “strong-arming” the APA. Some APA veterans have said that critics jump to conclusions. They don’t take into account that there are multiple ways to apply the APA law, these people say. One veteran noted that it would be foolhardy to send Cuomo a classification proposal that he won’t endorse, so the APA is smart to avoid the embarrassment of a rejected plan. Feldman, a Columbia County retired lawyer and adviser to Democratic political candidates, has been an APA member for more than five years. She said the State Land Master Plan is a framework with room for interpretation. One person who worked for the agency, who spoke on background, said the APA has trended toward flexibility of the law in recent years. When APA board member Richard Booth, a Cornell professor, stepped down in 2016, he issued a public document that read like a sermon. It asked the APA to follow the “mandates” of the master plan and to honor its spirit as well. He reminded readers that the APA was created by the Legislature in 1971 because the DEC was letting the forest preserve become less wild. It is incumbent on the APA to forbid motorized uses and motorized access to forest preserve lands, he wrote, and to prevent “intrusions from the modern world.” He emphasized in boldface type that the plan for the Essex Chain showed the APA, the DEC and Cuomo are willing to ignore wilderness protections. 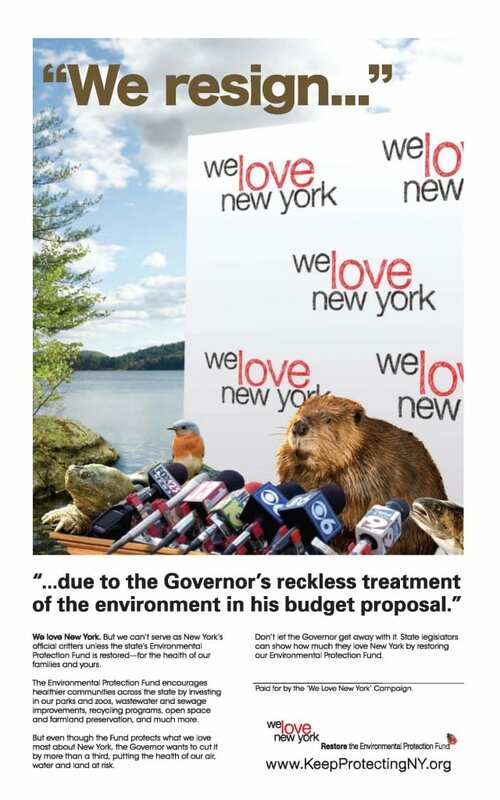 He feared they would do the same with the Boreas Ponds decision. The Boreas plan allows for a parking area near the ponds’ dam, which means motorized traffic. In a similar memo, marked “confidential” from October 2013, Booth wrote about the need to obey the master plan for the public lands in the Adirondacks. In his internal memo to colleagues considering the classification of the Essex Chain, he prevailed on them to err on the side of the more restrictive uses for the Finch, Pruyn lands. In the end, with Cuomo’s steering, the tract was classified for a mix of uses, including snowmobiling desired by local government leaders. Booth declined an interview request and Cuomo’s spokesman had no comment. The Adirondack Explorer obtained Booth’s memos. The classifications of the two territories set up different levels of protection. The most restrictive classification, where motorized vehicles and bicycles are banned, is wilderness, followed by primitive and wild forest. The Boreas tract is split nearly in half between wilderness and wild forest. The Essex is wilderness with a corridor of wild forest allowing for snowmobiling and mountain biking. Cuomo has said he is pleased that the classifications set limits but still offer recreational access. Ray Brook lawyer Robert Glennon, a former APA executive director and a current director of Protect the Adirondacks, declined a request to compare the Cuomo administration’s handling of the agency to past governors’ actions. But he is troubled by what he is seeing. He said the APA appears moribund. “I hope I’m wrong,” he said. For Feldman, the APA has a good working relationship with the DEC and the governor’s office, and there have been no preconceived outcomes. “As far as anyone telling us what to do, not since I was (acting) chair,” she said. Some of the biggest complainers of influence are environmental groups that lobby the governor in attempts to get the agency to follow their agenda, she said. Yet these groups complain that Cuomo or his aides reach out to the APA. Willie Janeway, the Adirondack Council’s executive director, said Cuomo is asserting his influence on the APA and it is not able to embrace the autonomy laid out by its creators. The governor has included the Council in public land classification talks, Janeway said. The organization believes both the Essex Chain and the Boreas classifications represented compromises as well as important environmental protections, but that the process was flawed. Janeway, who worked for two years as a DEC regional director under Cuomo, said he understands the governor’s penchant for pushing for accomplishment, but that isn’t ideal. 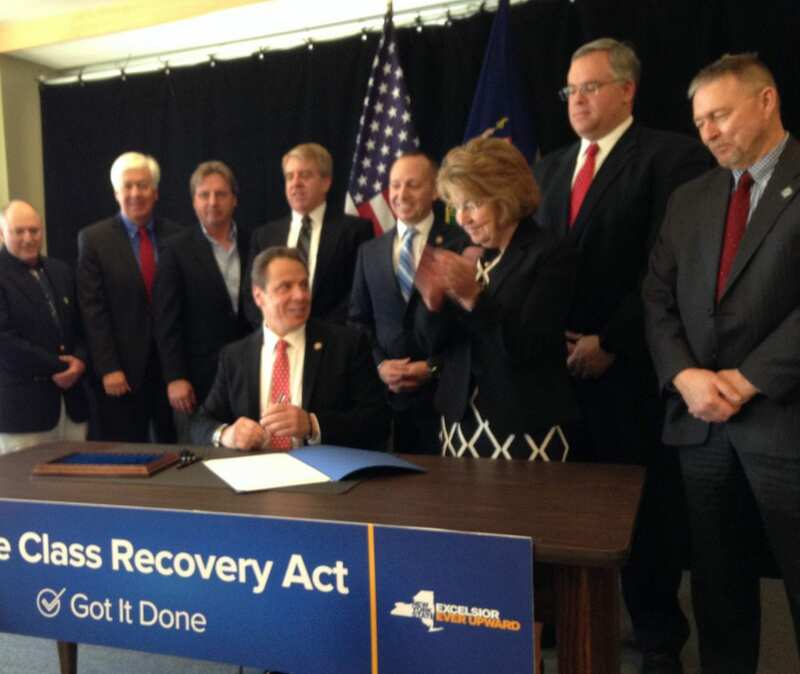 Like Willie, I too am very pleased that we have a Governor who is engaged with the issues in the Adirondack Park. Whether detractors recognize it or not, he is the Governor and as such has the power to approve or reject State Land Master Plan Amendments. While no hard evidence has ever been presented, there is no doubt that every Governor has ensured that the actions of the APA reflect their own thoughts. The Character of the APA has changed significantly over the past twenty years. The current board appears to best reflect the balance that was originally envisioned in the APA act. I think this says it all. Fear of embarrassment?? The APA should be presenting what they feel to be the best option(s) to the governor and let the consequences fall where they may. Mr. o’dato presents a fair, balanced view of this, and indeed prior administrations’ policy view towards the APA. However, he misses, or fails to make two points. First, we all were amazed that the governor in 2013 ignored his chosen Chairwoman of the APA when he came to north Creek to justify his heavy-handed approach regarding the Essex Chain lakes classification. It was clear then that he expected the APA to do his bidding. Second, past chairman Craig could be technically correct that he never heard from the Governor on any issue. True, the Governor himself might not have called but that answer does not address the many calls to and from DEC and staff from the executive Chamber. It is well know that these two carry the Governor’s water and act only with his approval. Comment sent before had incorrect email address. this is correct, not jfc… You may send message seeking confirmation to this address instead. thank you.